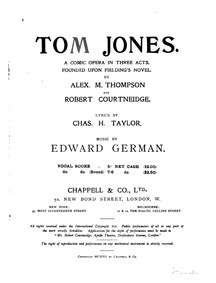 Description: Tom Jones (German, Edward); Edward German was a English composer during the Early 20th century period; Piecestyle: Early 20th century; Instrumentation: Vocal soloists, Chorus, Orchestra; The score was first preformed in 2646; Number of Movements: 3 Acts; Savoy operas|Stage Works|Operas|Operettas|For voices, mixed chorus, orchestra|Scores featuring the voice|Scores featuring mixed chorus|Scores featuring the orchestra|For voices and chorus with orchestra|English language. 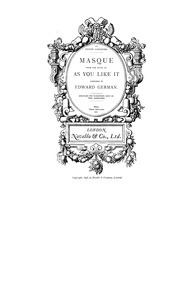 Description: Henry VIII (German, Edward); Edward German was a English composer during the Early 20th century period; Piecestyle: Romantic; Instrumentation: Orchestra; The score was first preformed in 1892-01-05 - London, Lyceum Theatre; Incidental music|Stage Works|For orchestra|Scores featuring the orchestra. 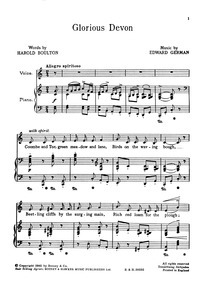 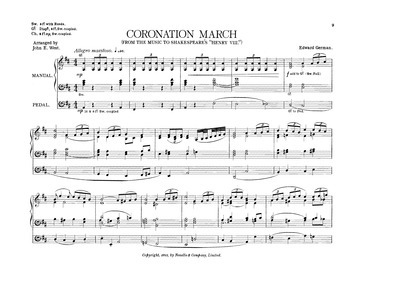 Description: Glorious Devon (German, Edward); Edward German was a English composer during the Early 20th century period; Piecestyle: Romantic; Instrumentation: voice, piano; Key: C major; Songs|For voice, piano|For voices with keyboard|Scores featuring the voice|Scores featuring the piano|English language. 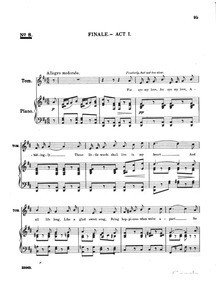 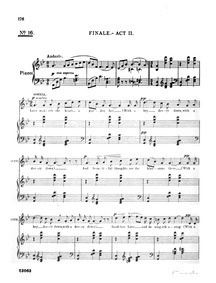 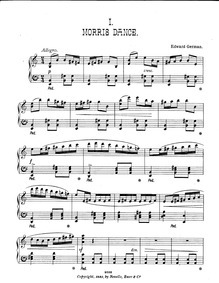 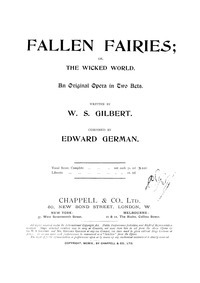 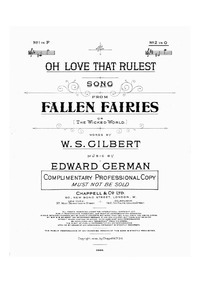 Description: Bolero for Violin and Piano (German, Edward); Edward German was a English composer during the Early 20th century period; Piecestyle: Romantic; Instrumentation: Violin and Piano; Key: E minor; Number of Movements: 1; Boleros|Dances|For violin, piano|Scores featuring the violin|Scores featuring the piano|For 2 players. 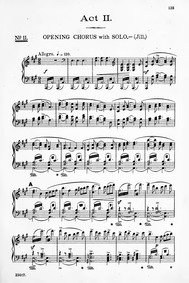 Description: Moto Perpetuo for Violin and Piano (German, Edward); Edward German was a English composer during the Early 20th century period; Piecestyle: Romantic; Instrumentation: Violin and Piano; Key: A major; Number of Movements: 1; Pieces|For violin, piano|Scores featuring the violin|Scores featuring the piano|For 2 players. 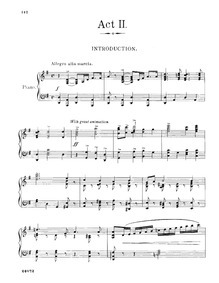 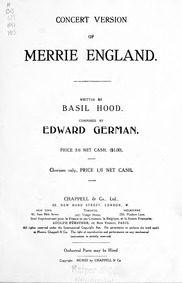 Description: Saltarello (German, Edward); Edward German was a English composer during the Early 20th century period; Piecestyle: Romantic; Instrumentation: flute (or piccolo) , piano; The score was dedicated to F.W. 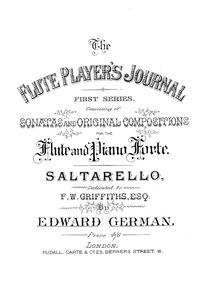 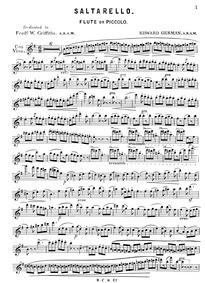 Griffiths; Saltarellos|For flute, piano|Scores featuring the flute|Scores featuring the piano|For 2 players|For piccolo, piano|Scores featuring the piccolo|Scores featuring the piano|For 2 players. 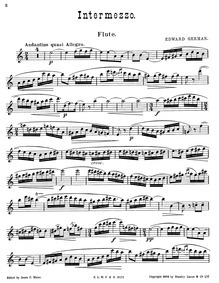 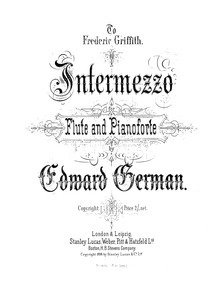 Description: Intermezzo for Flute and Piano (German, Edward); Edward German was a English composer during the Early 20th century period; Piecestyle: Romantic; Instrumentation: flute, piano; Intermezzos|For flute, piano|Scores featuring the flute|Scores featuring the piano|For 2 players.